Log cabin homes are absolutely beautiful. The look of the cabin, the contrast of color between the wood and the lush green surrounding, the serenity…all of this, plus more is what makes log cabins so picturesque. There is no doubt that a log cabin home catches the attention of anyone nearby; but, most times, the inside of these homes are even more beautiful. This gallery includes both exterior and interior designs of a log cabin. 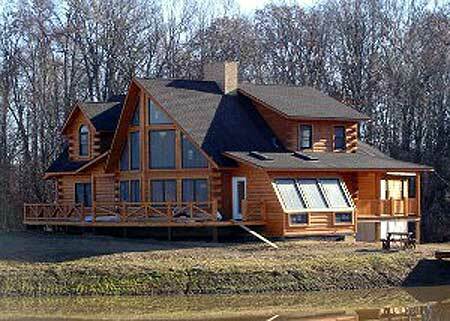 See log home design software options here. As you know there are many different types of wood out there and choosing the correct wood can be difficult. There are plenty of factors that should be thought about while choosing the right wood. Is the wood prone to bending, twisting, or shrinking? Is it durable and will it last long? It’s important to make sure you know a thing or two about the different wood species before you begin the process of planning a log cabin. Eastern White Pine or Pinus strobus: This wood starts off lighter, but becomes darker with more exposure. Western Red Cedar or Thuja plicata: A more expensive wood, especially in the United States. It’s beautiful but often hard to get a large abundance of. Douglas Fir or Pseudotsuga menziesii: Also called Red Fir or Yellow Fir. It’s a very strong wood and is barely impacted by mold and fungus. Atlantic White or Cedar Chamaecyparis thyloes: Commonly referred to as Juniper. It’s light brown, doesn’t decay easily, and holds paint well. 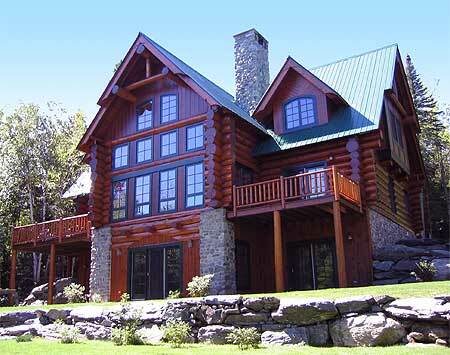 For more types of wood used in log cabin homes, click here. There is a different way to build a log cabin – buying a kit. But, there are many downsides to doing so. If the kit doesn’t come perfectly made from the factory then it will not work on your home. It also takes several people and a fairly long amount of time to put it together. It also takes some pretty technical carpentry skills. These kits can also get incredibly expensive and if they’re not done correctly it will be an immense waste of time. 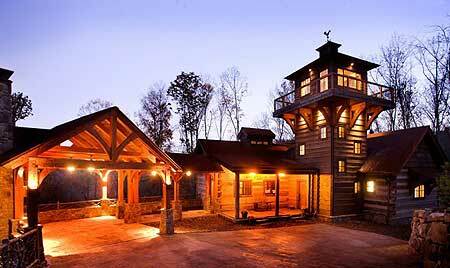 Below is an incredible photo gallery of 39 log homes. 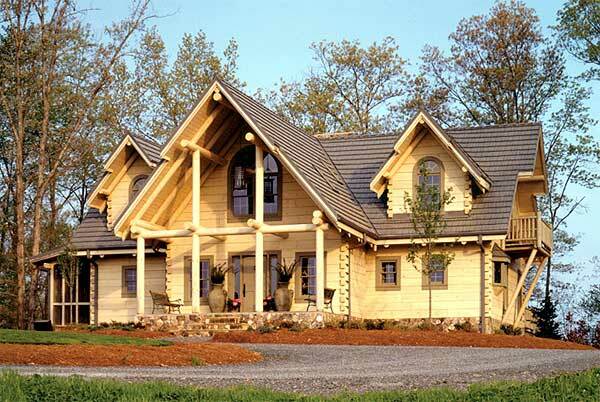 The range in design showcases the wide variety of log home designs. You’ll note that some of the interiors are truly spectacular as well. If you love these log cabins, you may also enjoy our collection of rustic home interiors! Here’s a 3,700 sq. ft. 5 bedroom log home ski chalet in Colorado. There’s an authentic great room plus multiple bedrooms to accommodate many people (two bunk rooms). Incredible ski chalet log mansion with huge picture window and massive sun deck on sloping property with gorgeous front yard gardens. Country log mansion rising up 4 stories with huge sloping cedar shake roof shingles. Intricate detail. Incredible design. Grand log home mansion with huge deck and skylights throughout with incredible views of valley. Magnificent log home mansion with huge beams on deck supporting upper floors on top of a mountain. Gingerbread house like fairy tale log home with round veranda perched on top of rock outcropping. 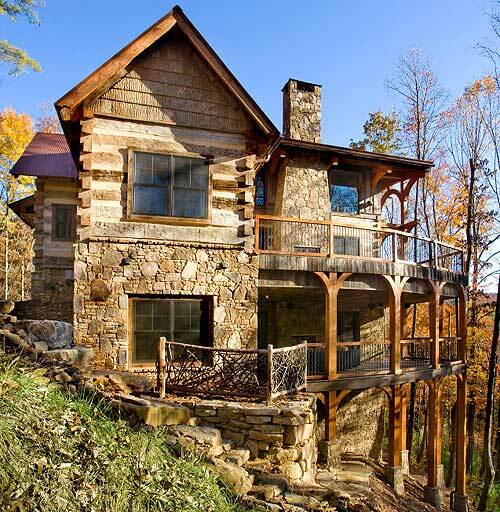 Intricate 3-story log home house on hill with incredible view. Side view of log home with double car garage, crow’s nest balcony and large log beams supporting deck. Interesting off-white log home with long wing and ends supported with massive log beams. Rambling mega log home mansion with light wood logs and dark shingle roof for contrast effect. Snow on the ground. Contemporary A-frame log home chalet with huge overhang gabled roof overhanging huge deck. Massive 2.5 story window. Ski chalet log mansion with stone exterior set up high in mountains on snowy slope. Rambling long log home villa high up on mountain with large rural property. Stylish custom log home with full width sun deck and natural colored logs set on grass property. A-frame style log home with deck overlooking sprawling lawn. Grand log home set among towering evergreen trees. Great elevated front porch. Large custom log home built on lake front set against mountains. Suburban style log home with front porch set among trees with walkway to front door. Imposing A-frame style log home with massive chalet style overhang roof and large upper wrap-around deck. Swiss style log home chalet with upper balcony and wide porch set among trees with snow on the ground. Contemporary log home mansion on sloping property built with dark logs (and stained). Ski community log chalet with tall stone chimney. Cozy log home with upper deck and plenty of firewood storage on side and front. Wood exterior and stone exterior ski chalet on steep slope with huge picture windows. Stone and hewn wood ski chalet with garage below and large stone chimney rising up three storeis. Grand log home with huge windows and large deck on stone foundation set among tall trees. A log cabin in the Finnish forest. Log cabin in a New Mexico forest. Cabin style log home with small deck on large sloping lot. Swiss style log mansion with huge covered deck. Massive log home with many supporting beams on perimeter of wrap-around deck. Suburb log home with dormers and covered porch. Dark log home (small) in forest setting with piles of snow on the ground. Small 1 story log cabin with deck. elegant wide log home with staircase rising up to wide covered porch and front door. Wide log home with full width covered porch elevated on large grassy lot. Rustic dark log cabin on stone foundation among towering evergreen trees. Beautiful light wood log home with steeply pitched roof on large property. Below is a smattering of log home interior designs. Fabulous living room with 3-story towering ceilings and huge rock fireplace rising up 30 feet. Example of bathroom in log home. Large country style dining area in open kitchen and dining room in log home. Bedroom in log home with exposed log beams and plenty of wood paneling. Bed frame also built with logs. A real log affair. Another photo of log home great room with towering cathedral ceiling. Panoramic photo of massive great room in log home with upper landing where bedrooms are at the back. Elegant log home living room with huge river rock fireplace, antler chandelier and exposed log beams throughout. Dining room in log home with super high ceilings and large windows looking out onto elevated deck. Great room of log home with upper log style landing railing. Huge master bedroom with stone fireplace and ceiling beams inside log mansion. 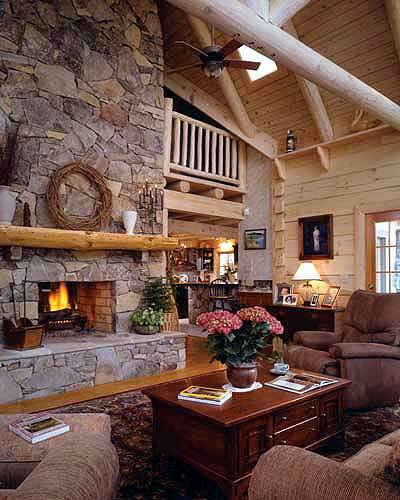 Rustic family room with stone fireplace inside large log home. Rustic dining area and kitchen inside log home. The following log home photographs are provided by this premiere architectural designs website. 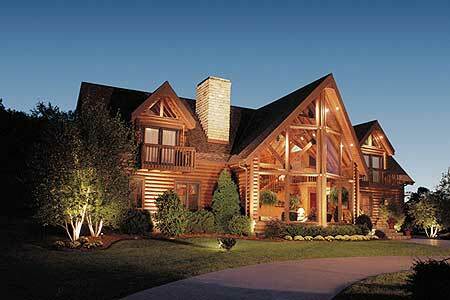 who feature a photo gallery of over 200 log home plans and designs. Side view of log and rock exterior home with wrap around deck backing onto a forest. 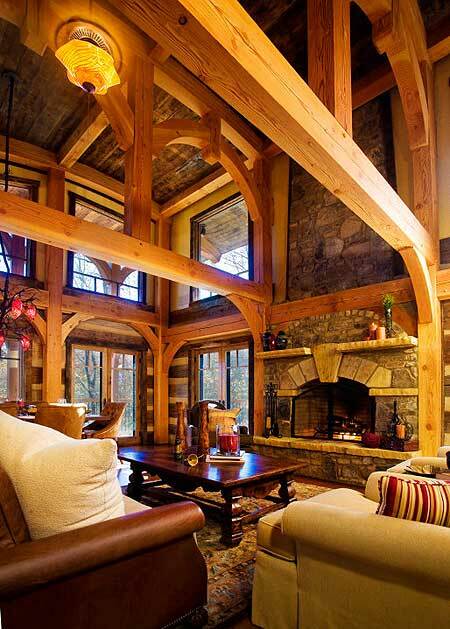 Living room with vaulted ceiling and beams in log home. Large fireplace forms the center of the home’s living space. 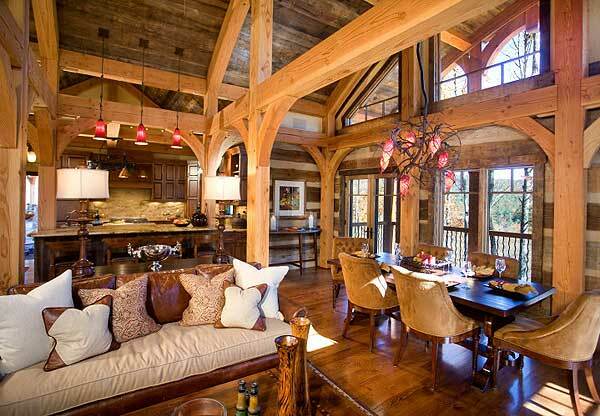 View of main living space of spacious log home with exposed beams and towering windows. 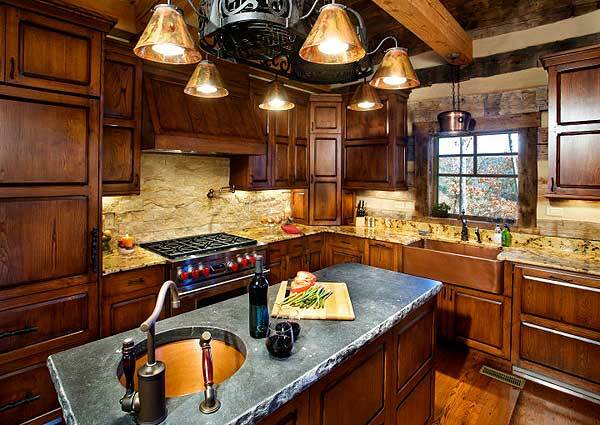 Kitchen in log home with custom pendant lighting, granite counter tops and extensive use of wood cabinetry. For even more outstanding kitchen ideas, click here! 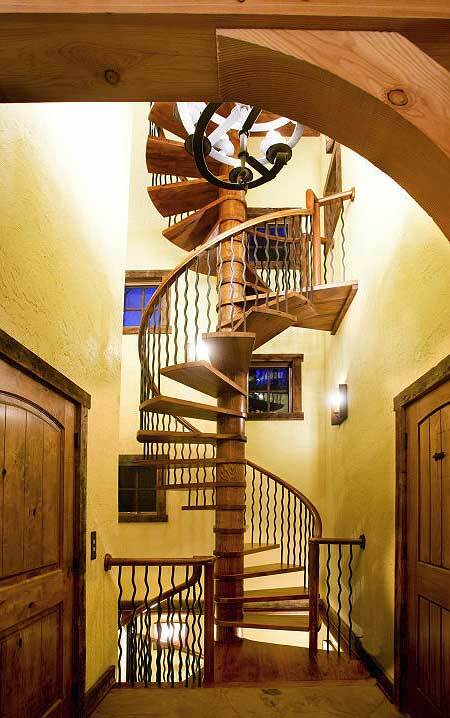 Spiral staircase in log home. Contemporary log home design with light colored logs, A-frame center at apex of circular driveway. 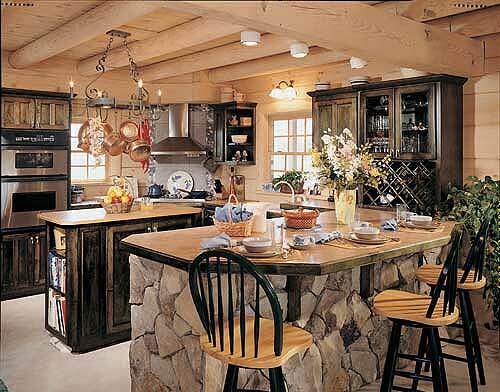 Large exposed beamed kitchen with island and mixture of wood and stone materials. Cathedral-style living area in large log home with 2-story stone fireplace and loft. Rambling log home situated on the edge of a forest. 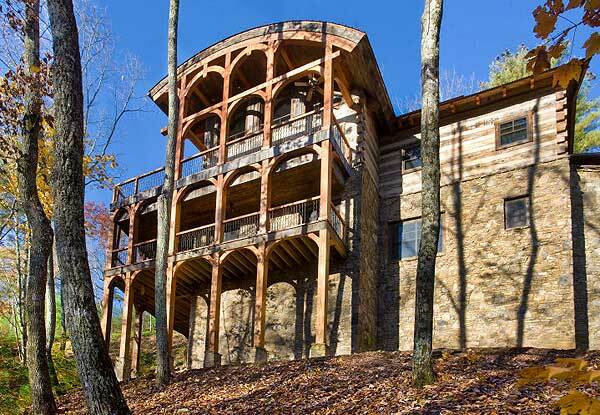 Towering 4 story log home with rock pillars and multiple decks with green roof. Contemporary log home mansion with A-frame center illuminated at night.